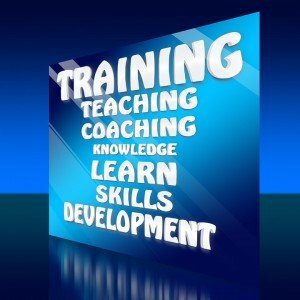 Coaching is fundamentally helping an individual, team or business improve their performance to achieve a personal or professional goal by providing training, advice and guidance. Coaching is simply buying someone’s knowledge and expertise and in many cases, it is only for a season of time. World Class sports and professional people recognized to be the world’s best they needed coaching, that is; coaching from others that knew more than them or knew how to get the best out them to learn their craft. In most cases, individuals who are the top of their profession have had coaches coaching or mentoring them on the way to the top. In fact, very few successful individuals, teams or businesses have achieved outstanding success without having some sort of coaching, training or mentoring. We all read how much money successful sports people or professionals earn, in many cases the amounts are staggering. What many of us don’t realize is that they were prepared to pay the price to achieve outstanding results. Not just in time and effort to learn their craft, but to invest in coaching to get the best out of themselves. In our society, it is the “norm” to have a coach for our local footy team or any other sporting codes that we may be engaged in and we could not imagine having a sporting team without a coach. When it comes to business, the average business owner’s financial risks are much higher than what most individual sports people are exposed to, yet very few business owners have coaches. Businesses failure is growing at an alarming rate, not just startups, who have a high attrition rate in the first 5 years of trading, but long established businesses are succumbing to the change in consumer’s buying behavior. The internet has changed the way we do business forever! And will continue to do at an ever-increasing speed. It does not matter what type of business you own, the internet has changed our buying patterns, at the very least we use it as our resource tool to research almost any purchase. The business owner who is prepared to invest in a business coach and learn how to align their marketing with the change in consumers buying patterns will become the new market leaders within their industry, whether it be a local or national region. Identify the weaknesses in your skills and find yourself a business coach who has the necessary skills and expertise to help you improve your online performance. In most cases, you will only need a business coach for a season of time until you or your team have mastered the necessary skills.